As you’ve no doubt heard, the East Coast of the US got walloped by a record-breaking winter storm. But sometimes, words simply can’t do justice to the magnitude of a meteorological event. You need images taken from 250 miles up. Naturally, NASA has delivered. 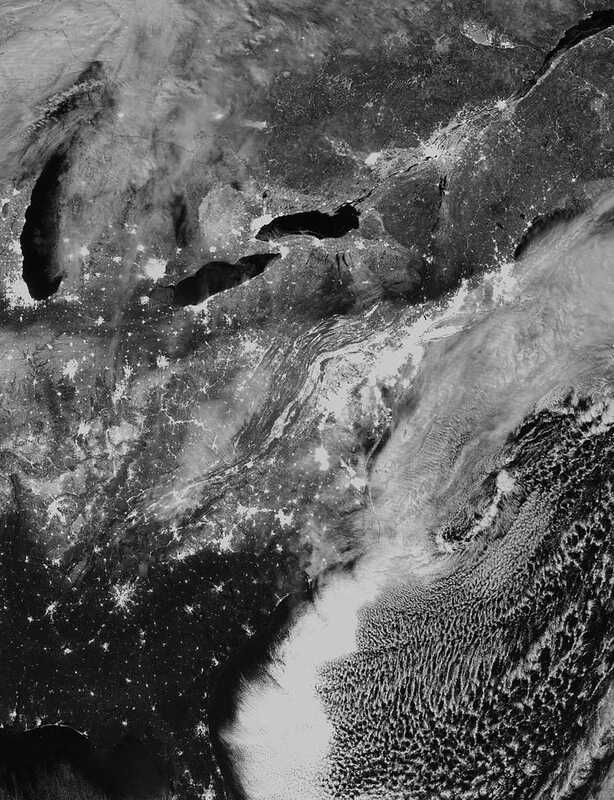 This beautiful radar image shows us one snowy little corner of our planet, as seen by NASA and NOAA’s Suomi infrared satellite at 1:55 am ET on Sunday, January 24th. A few hours later, the storm was tapering off over the mid-Atlantic and Northeast as it tracked out to sea. By that time, pretty much the entire New York-DC corridor was covered in a thick blanket of snow. Accumulations of up to a metre were common across the country; 68 centimetres of snow fell on Central Park, millimetres shy of the all-time record.